The BIG DAY has arrived!! The internet will be exploding with cookies that have been baked, shipped, and posted by food bloggers across the country. I made vegan Chocolate Chip Oatmeal Pecan Cookies, because I knew they were the perfect cookies to survive shipping….. 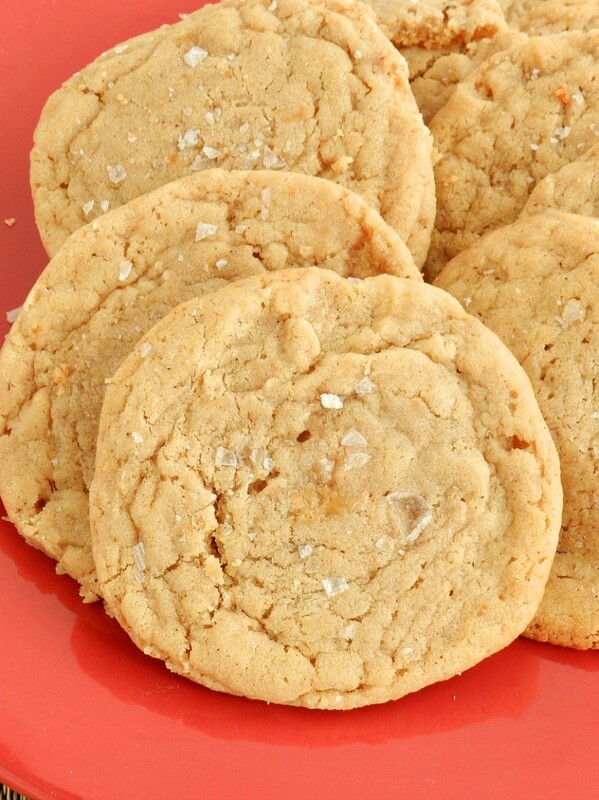 These cookies are soft, moist, and delicious!! Did I mention that they are also healthy? That is just an added bonus! 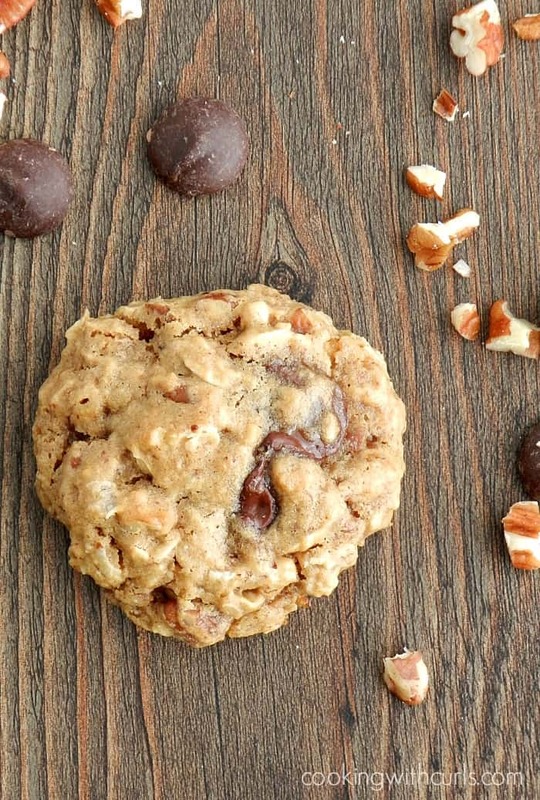 They are made with whole grains, oats, and no refined sugar. I don’t need a lecture about agave nectar being processed, it is still unbleached and vegan…which granulated sugar is not. That’s my story and I’m sticking with it, 😉 I will let you in on a little secret, I don’t like washing dishes. Shocking…right? 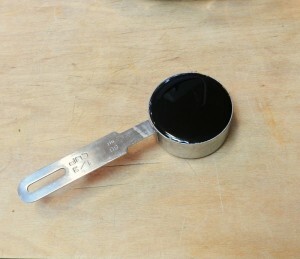 Soooo, I use the same 1/3 cup dry measuring cup for the evaporated cane juice and the milk and agave nectar….. I have been making these cookies for almost 8 years now, and it works with that measuring cup…so why mess with success? Preheat oven to 425 degrees. Line 3 baking sheets with parchment paper, set aside. Whisk together evaporated cane juice,almond butter, coconut milk, agave nectar, canola oil, and vanilla extract in a large bowl. Stir in flour, baking soda, salt, flax seeds, wheat bran, and rolled oats until thoroughly combined. Add the pecans and chocolate chips, and stir together. 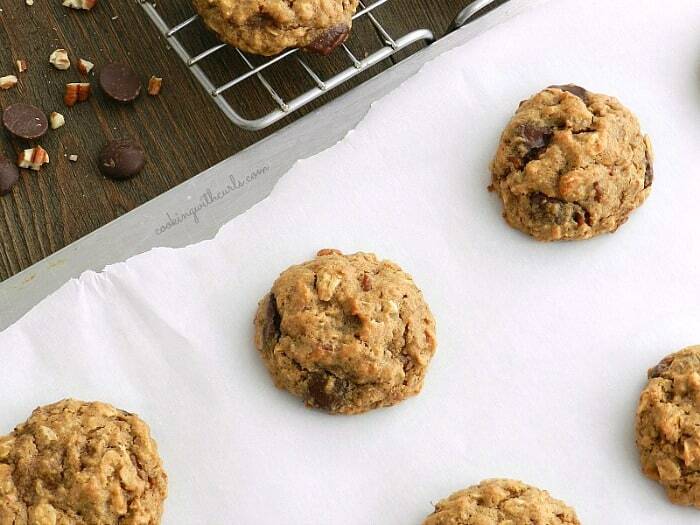 Using a small cookie scoop, drop onto prepared baking sheets. Bake for 6 minutes, and no more. They will not look cooked, that’s okay. Removed from oven and allow to cool on baking sheet for 10 minutes. Transfer cookies to a wire cooling rack, and cool completely. So, have you heard of The Great Food Blogger Cookie Swap? I stumbled across this button in someone’s sidebar, went to the website, and knew that I wanted to be involved with such a great cause. $13,778.40 was raised this year for Cookies for Kid’s Cancer!! Pretty amazing right? The only requirement is that you ship one dozen cookies to 3 different bloggers, and then blog about it. Easy right? 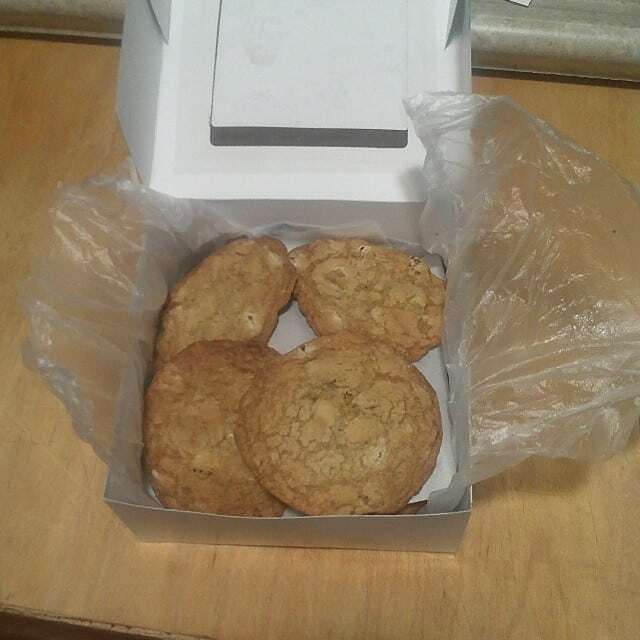 I received these delicious cookies in the mail…..
Peanut Butter Oatmeal Chocolate Chip Cookies from Kimberly @ Mammy2Grammy These cookies arrived after it was already dark, and we devoured them before I could get a good photo in daylight! This photo was taken with my phone and posted to instagram. 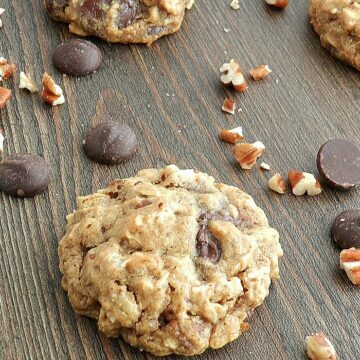 Chocolate Chip Oatmeal Pecan Cookies aka Healthy Cookies are soft and delicious! Bake for 6 minutes, and no more. They will not look cooked, that's okay. Removed from oven and allow to cool on baking sheet for 10 minutes. I love cookies that use the same measurement multiple times. I bet these are delicious since they have all my favorite flavors. I’ll have to participate in the cookie swap next year- looks like so much fun! How fun and what a great cause!! 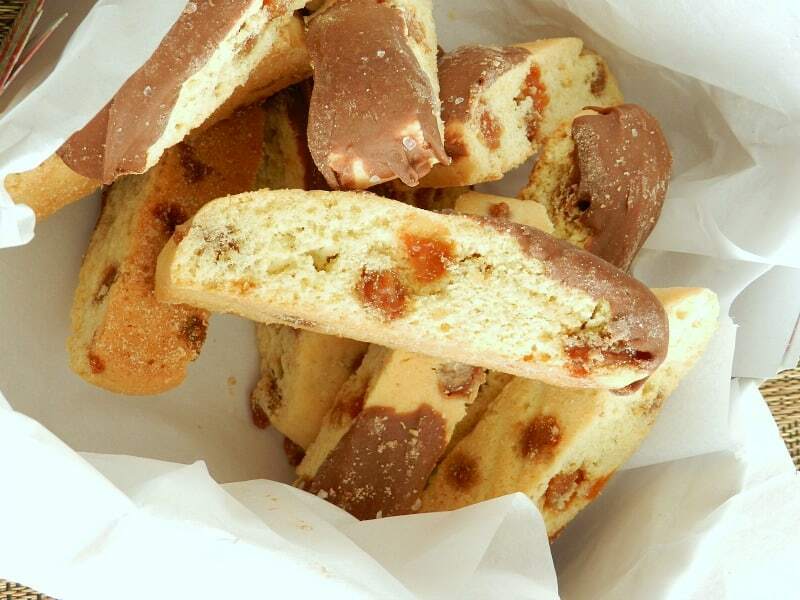 Your cookies look amazing – I know I would not complain if a dozen arrived at my door! Yum and pinning! Great cause & I love how yummy your cookies sound. Hope to try your recipe this holiday season! 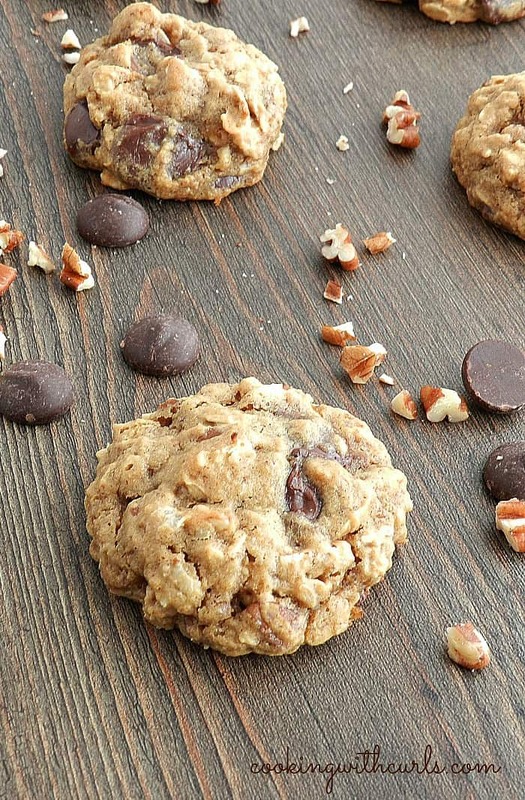 Always excited to see an egg free cookie recipe- I always seem to run out of the darn things! Pinning for later- yum! Yum! These look amazing. I haven’t had lunch so I’m starving & I’m trying not to lick my computer screen. These were absolutely fantastic, Lisa. 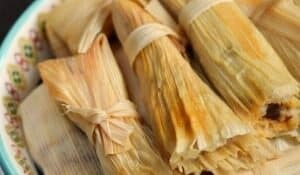 And just when I didn’t think I could love them anymore, I find out they’re actually quite healthy! Way to go! Thanks again for the great treat. I’m very lucky I got to be on the receiving end of these. Your cookies look so moist and yummy! What a wonderful cause to participate in! Your cookies look SO delicious, Lisa! I would’ve love ’em — maybe you’ll get me next year? It sure was fun, but I will try not to second guess myself like a maniac next year. ha Pinning these! I love how you’ve been baking these for 8 years… you must have it memorized. Besides, I can trust your recipes! 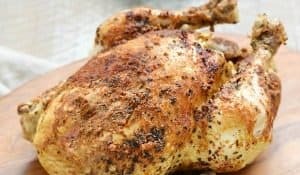 I love doing recipes that I’ve been making for a long time. It always comes out how I expect. (Only if I pay attention!) You know me and a cookie swap, love them! These cookies look scrumptious! Wow I feel like I’d be able to eat a million of these based on texture alone–they look like fluffy, chewy goodness! 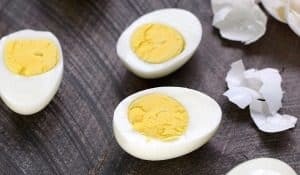 I too am guilty of using the same measuring cup for ingredients while baking–I like to say I’m saving water because it means fewer dishes for me to wash haha! Cookies are probably my favorite thing to bake. They just never get old! 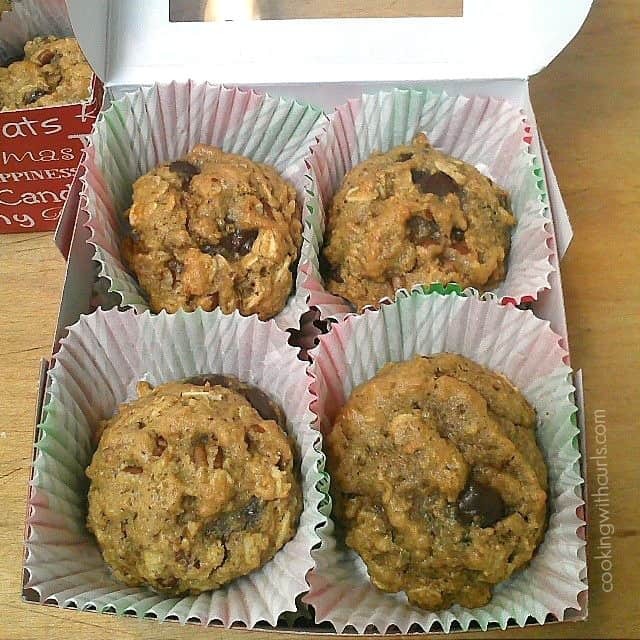 And I love that these have oatmeal, chocolate and pecans. 3 things I love!